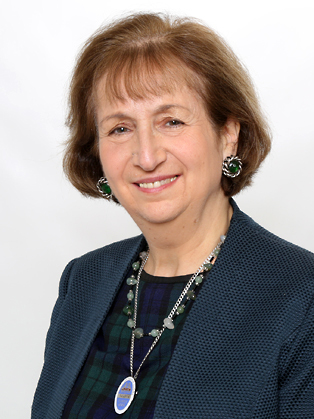 One of London’s best known Tour Guides thanks to her local radio broadcasts on LBC and, currently, BBC Radio London, Diane Burstein is a tutor on the subject of London History at two of the capital’s best known further education colleges: Bishopsgate Institute and City Lit. She is the author of the book “London Then and Now” which made it into the top ten best seller list in BBC History Magazine. After obtaining an honours degree in English Literature and History, Diane spent several years working in sales and marketing administration before studying to be a London Tour Guide. Having gained several guiding qualifications including the prestigious Blue Badge, London’s highest guiding achievement, she set about building up a varied clientele and was soon able to switch from life behind a desk to a full time guiding career. She is just as enthusiastic about guiding as she was on the first day she qualified and has experience with a variety of groups from students to seniors, academics to corporate clients. When not working she can usually be found in a theatre auditorium watching everything from Shakespeare to contemporary drama. Diane lives in North London with her husband Noel but since becoming a guide is just as likely to be found in South, West or East London planning the route of a new walking tour. The thing she loves about her job is that no two days are the same and London is so large and ever changing that she will never tire of exploring and uncovering new facts. Her tours are not just for tourists and Diane gains great job satisfaction from introducing London residents to sites that they are unfamiliar with. Diane says “During our frenetic working lives in a busy city we dash back and forth between home and the office, spending a lot of time travelling underground with little time to take in our surroundings. My tours are a way to discover a little more about the buildings, history and people who have made London such a fascinating City. You can find out about London by reading books and looking at websites but you can’t beat transporting yourself back in time by walking the streets and visiting the spots where history was made”. Throughout her guiding career Diane has given talks on a number of London related topics covering places of entertainment, historic shops, literary sites, creative/artistic quarters, social history and notable London women. She is a regular at the London Historians “History in the Pub“ nights and has spoken at a variety of venues including some surprising ones: a Turkish Bath, a revolving restaurant, a City Livery Hall and the stage of a West End Theatre. Knowledgeable, professional, vivacious and a good communicator Diane brings her subject to life for every type of audience. On every occasion Diane had delighted our audiences with her expertise and enthusiasm. She has a very natural, confident manner and I consider her to be an accomplished communicator. Diane has always been totally professional in her preparation and has provided excellent events. She has a strong confident delivery and never has to refer to notes. I am always impressed by her depth of knowledge and her ability to weave different threads into her talks. Whenever I advertise an event with her name it is guaranteed to sell out.